My Torah portion describes the birth of twins Esau and Jacob. As they get older, it becomes clear they have opposite talents…Esau is the hunter and the athlete. Jacob is the student and the scholar. 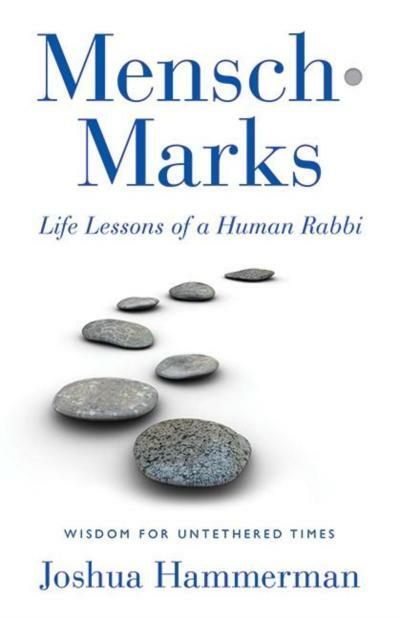 The Torah portion goes on to highlight each brother’s strengths and weaknesses, how their respective qualities help and hinder each of them in their lives, in their personal relationships, and in their adventures. The question that pops out here and the question I’ve discussed with the Rabbi is whether the Torah is favoring the student or the athlete. At first, it would seem like the Torah favors Jacob the student. Esau, not the brightest, was really hungry one day and sells his “birthright” – that is, his rights as the first born – to Jacob for a bowl of red lentil soup. For those of you who know me well, I get hungry and I’m a beast when I’m famished so I’m sort of a fan of Esau’s….He was really hungry! And besides how important are birthrights anyway…in my house, it’s really just an excuse for Josh to get the first choice of steak, stay up later than me, and sit in the front seat. But when I think about how my life relates to this Torah portion, I first tried to think about which twin I related to best. And the answer is easy---it’s both. I love sports, especially tennis. And I love school, especially math. But more importantly, what I love most about learning and athletics is the challenge and competition of each, where I really have to push myself, dig deep and sometimes take a loss or frustration and push through it. When I hear my parents talk about my great grandmothers for whom I am named, I can’t help but think I get my competitive edge—almost a survival skill—from all of my great grandmothers. Every single one of them. You may remember hearing my brother tell the story at his Bar Mitzvah about my great grandma Frieda, whose Hebrew name is Tzipora, which is my middle name. She escaped from a Nazi concentration camp and lived under a floorboard for an entire year to avoid capture. My other namesake, my great grandmother Edith lost her husband when my grandfather Mickey was in 8th grade and she worked full time, multiple jobs, supporting 3 kids and making sure they got an education. My other great grandmother Betty “Ma” Baron was also widowed early and glued my family of 6 great aunts and uncles, and my dad’s 13 first cousins together. And my other Great grandmother Lee is here today at 95 years old and is full of life and such an inspiration to me. These are strong, resilient women who never took no for an answer and fought hard on every stage they found themselves on. That, everyone, is my inspiration in not just sports and school, but in my life. For my mitzvah project, I wanted to share my love of sports with kids who may not be lucky to have as many opportunities I’ve had to play sports. For years I’ve been involved with Grassroots, a Norwalk charity that brings the sport of tennis to inner city kids who don’t have as much access to tennis, as well as tutoring. I volunteered and raised money this year with their annual doubles tournament, which was a big success. The goal of this organization is to ensure each of their kids is on a path towards success on the court, in the classroom and in life. That’s certainly the type of place that both Esau and Jacob would have enjoyed. So as we reflect on Esau & Jacob in this Torah portion, here are my takeaways: First, that I can appreciate and learn from them both, be inspired by their best qualities to become a successful student-athlete and second, not to let my brother make any bad deals with me—in fantasy football or in life--like Jacob got one over on Esau — even for a tempting bowl of lentil soup!